One concealer that works so well…We Skip Foundation! Are you running out of time? Well no matter whatever the case, but there is no way to compromise on your looks lashes! 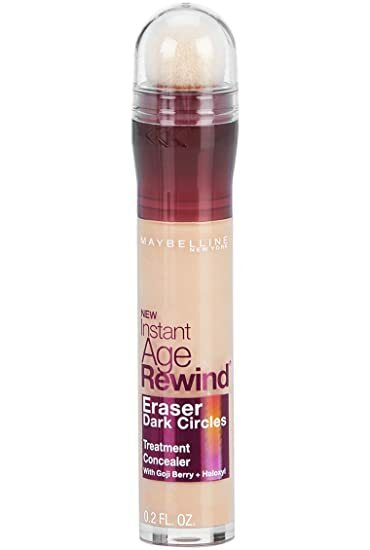 Beauty Hooked found a travel friendly concealer that you can use even on the go without making a mess! The best part is that you can also use it as a foundation! Just a few dots all over the face and you are good to go! Why we are obsessed with this concealer? Instantly creates a radiant, refreshed look. Infused with goji berry and Haloxyl™. STEP 1:Using the applicator, apply concealer directly to the face, blending in an outward motion. STEP 2:For extreme dark circles, or spots, apply the Neutralizer shade under concealer shade. STEP 3:To add a luminous touch, apply the Brightener shade to the inner corner of eyes, cheek and brow bones and, bridge of the nose. Step 4: Apply a few dots all over the face to achieve an even skin tone. We are hopelessly addicted to this lip scrub- So that we can secretly taste it!